So, I am out mowing the lawn and I see a large egg in one of my raised brick beds. It immediately jumped out at me, so I’m sure it hadn’t been there long, or I would have seen it previously. It is a big egg, maybe a little bigger than a chicken egg. It has a tuft of feather attached to it, a few brown smears, and a somewhat waxy smooth texture, not the gritty texture of a chicken egg. It also felt sturdier. I tested it with a flashlight and it definitely is a real egg, there is something in there (something small). I’m told by Google that it may be a Duck egg, well, it is big enough certainly. But how did it get there? Did Mrs. Duck lay it there on purpose? Why? I’ve read that some animals will carry an egg, like a fox, but we don’t have foxes, and I can’t see a squrrel doing this. I’ve seen one raccoon in 7 years of living here, and this is also fairly near a fairly busy 4 lane road. Plus… if it was stolen from a duck nest, where is the nest? It would seem like if it was stolen, the thief brought it a long distance. I’ve got a small water feature in my back yard, but it doesn’t support ducks. There is some wetland areas about a half mile away where I have seen ducks, but that is still a half mile, and surely there are better hiding places for your cache of stolen eggs in forest and wetlands than a city neighborhood by a street? Any ideas? Can I do anything to help this egg hatch? Or is that a lost cause without mom around? Very cool. I hope the little guy (girl? goose?) lives. I can almost be positive it is a duck egg, and I can tell you this, crows will raid a ducks nest, pick the egg up in their beak and fly great distances. In this case the egg probably slipped out of the crows beak and your yard is where it landed. I would take the egg to a wildlife center if there is one in your area as they would be able to hatch the egg out as they are equiped to do so. While I’m way too late for any help, my uncle used to always find eggs in the fields he worked in and he had a little incubator thing he’d put them in. It was really neat! It is most definetely a duck egg. I have had ducks lay just a single egg in my garden before as well. However, being carted off by another wild animal would not be an inaccurate assumption either. The only advice as to raising it up would be to- 1) Buy an incubator. 2) Take the egg to a wildlife facility or call your local Department of Fish and Wildlife. 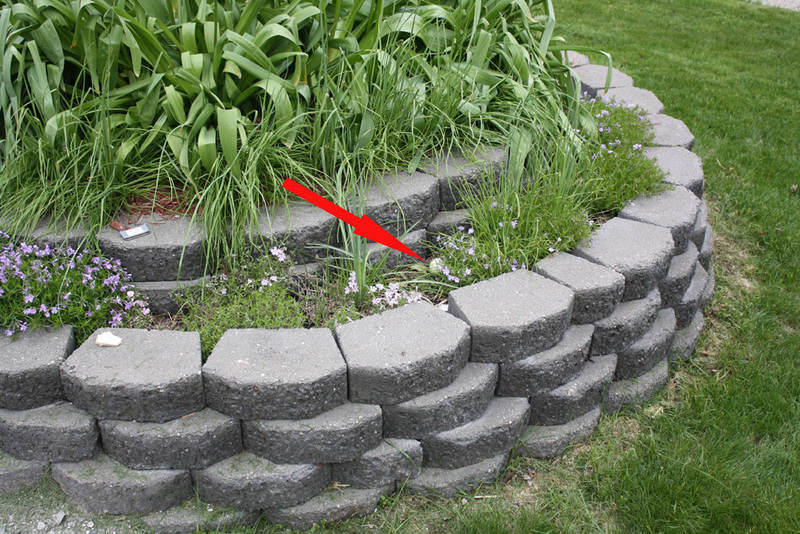 3) Build a small nest measuring 24″L X 24″W X 6″D and fill it with 3/4 full with BLACK packing peanuts. Put a heat lamp within 8-12″ of the egg, you want the egg to remain at a constant temperature of between 80 an 95 degrees. On two consecutive days, I found damaged eggs on my front lawn similar to the ones in your photo – one each day. (They were obviously not hen’s eggs – different, more translucent shell texture.) They both had runny yolks and obviously had not been there a long time. I had noticed a big commotion with crows being chased by grackles in the same general area. I live in a suburban neighborhood near a large creek. We’ve had mallards eating grounded seed at our birdfeeder recently and I’m wondering if these are duck eggs raided from a nest by the crows. I know it’s the survival of the fittest but finding the ruined eggs made me sad…. Yes, looks like a duck egg to me. Unfortunately, unless it’s been consistently very hot, it’s likely the egg won’t hatch – it needs to be kept toasty pretty much all the tie by mom or dad. I incubated it for 3 weeks before deciding it was definitely not viable. It was probably out of the nest for too long from when I found it. So… it got composted. A little off topic but I spread crushed eggshells in my garden for extra calcium and to ward off slugs~a bluejay visits regularly and has all but eaten them all up! I wonder how this one egg got there. How strange! I have had several nests of eggs in my yard this year, but no duck eggs. 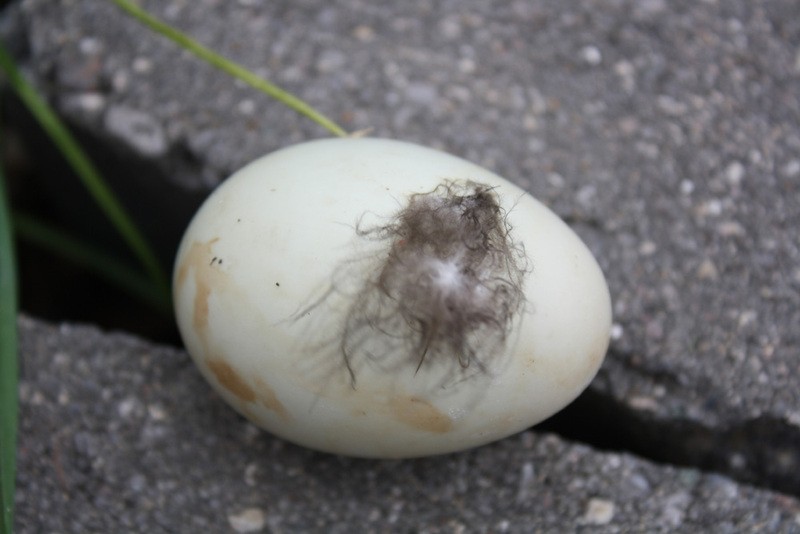 I’m a suburban Detroiter and find duck eggs in my gardens every year, sometimes in clutches and sometimes single eggs, such as yours. I always find the eggs in mulch and after visiting her clutch the mother re-covers the eggs with the mulch. Sometimes I find the eggs when I’m gardening. But, most often the female will lay her eggs in the courtyard entrance, against a wall, where they are concealed and protected. From my kitchen windows I’m able to watch the mother duck come and go. Sometimes I find a single egg and have read that the mother duck lays one egg each day. My guess is that she decides it’s not such a good location after all (maybe from nearby activity) and decides to find another site. I’ve also found entire broken clutches, the work of raccoons. Those are my thoughts on your single egg discovery. I hope it hatched for you. There’s nothing cuter. I agree with the folks who say duck egg. It could have been stolen by a crow, or laid by a neighbor’s muscovy? They can fly and like to travel. Ducks don’t always remember where they lay eggs. 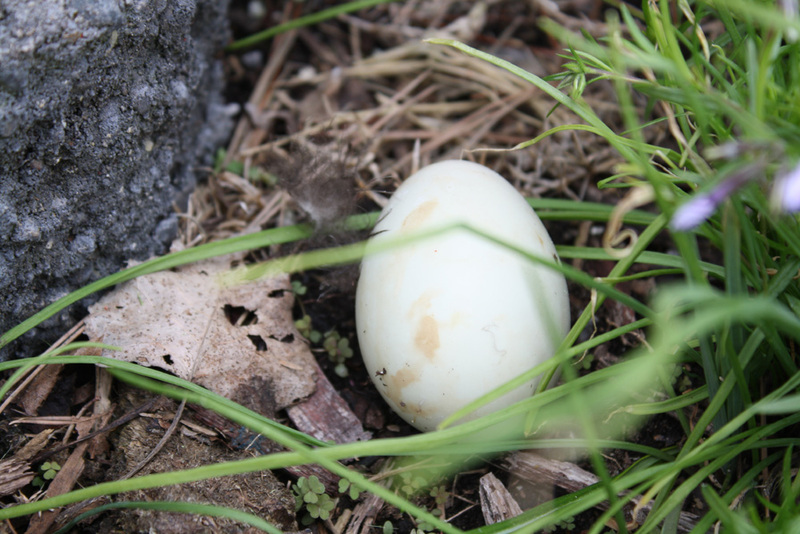 One of ours was walking across the back yard heading for their pool when all of a sudden she quacked, stopped, squatted and sat there for a few minutes then continued on… leaving behind an egg. (Just felt one coming on I guess. Silly thing. I was out in my backyard with my brother and sister when my little brother noticed a small oval shape near our plants and bushes we have to huge trees in our yard so i thought it could have fallen down from either one, it wasnt cracked or fractured in anyway. it is really cold and i didnt want to leave out there for some other large bird or animal ( my dogs possibly ) to eat it. i have it in a new small shoebox ( vans “off the wall” )in between many old socks to keep it warm. my little brother had a heating lamp for his turtles but we couldnt find it after looking for it. it is a fairly small egg with a smooth and waxy texture, please help me ? I just need to know how warm it must be to survive, what type of heating lamp i will need, what kind of “nest” i should build it and how long it will take before it hatches if it does survive. my parents will most likely want to throw it out and being vegetarian for two and a half years ( im 14 and a half ) i want this bird to live ! Animal shelter in San Mateo County. I found 2 eggs just like that today and what I’ve gathered from Google is that it’s either a duck egg or a whipper wheel birds egg!